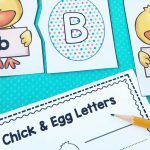 Easter Eggs Rhyming Activity - FREE Printables for Kindergarten! It looks like spring may have finally arrived in Texas, and we are celebrating with all the spring things! 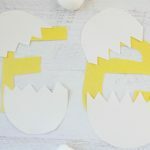 Today I’m excited to share this Easter Eggs Rhyming Activity and my 3 favorite ways to use it! *Pair with our Easter Centers & Activities! 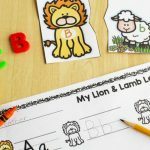 These FREE printables are great for kindergarten small groups or literacy center. 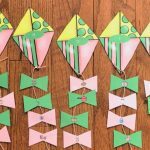 With 3 ways to play you can use these printables over and over again. You are going to like the included recording sheet for extra writing practice! I LOVE printing activities at a smaller size and using them in my sensory bins! You can grab plastic bins with lids here! They’re our favorite to use and are easy to store too! For this bin, I printed this resource 2 slides per page and they fit perfectly in this $1 pencil box from WalMart! Then I filled the bin with dry brown beans to give the look of Easter eggs hiding in the dirt! 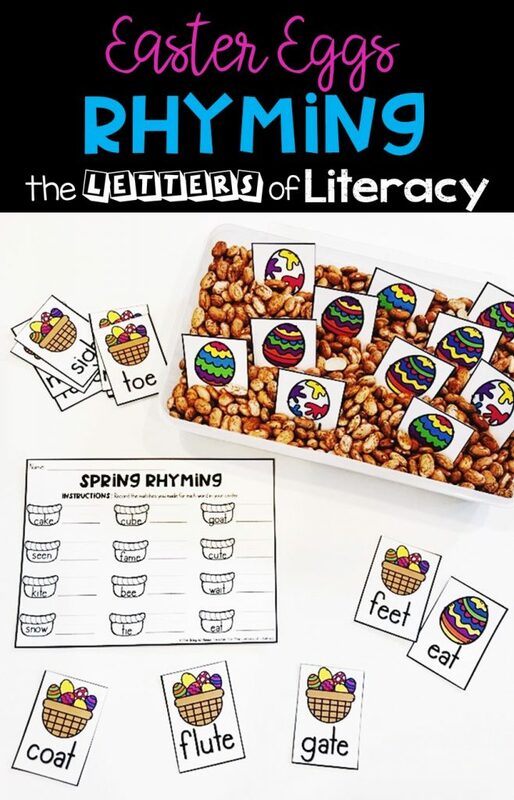 If you have kiddos who need to practice their fine motor skills, they will have a blast practicing with this activity! 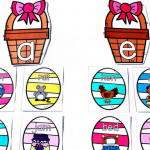 Put a fun, academic spin on the traditional Easter egg hunt with this rhyming hunt! To prepare, print this resource 2 slides per page on regular printer paper. 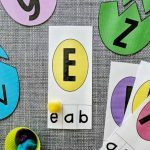 While I love to print my centers on card stock for durability, this activity needs thinner paper! After printing and cutting your pieces, fold each piece in half and place in a plastic Easter egg. 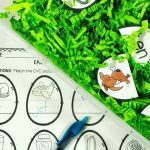 Place the eggs in a sensory bin, around your classroom, or even outside! 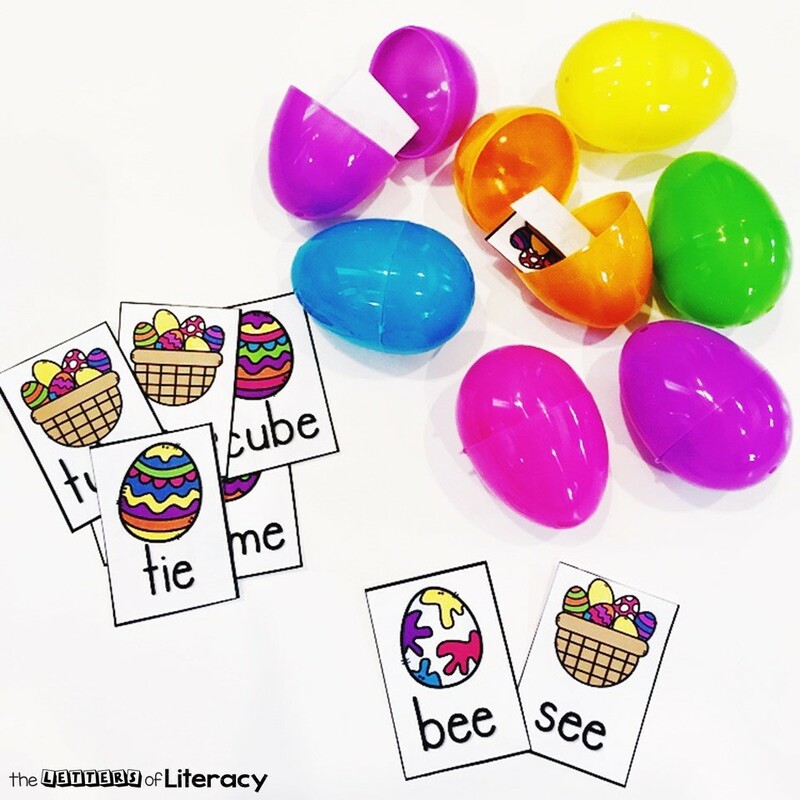 To play, students need to find 2 eggs with matching rhyming words and record their answers on their answer sheet! Want to keep things simple? No worries! Print this resource full sized and use as a simple matching activity! If you’re in a pinch for time, leave all of the cards face up and allow students to search for the rhyming pairs. If you have a little extra time and want to give your kiddos a little more challenge, turn all of the cards face down and have students play a game of “Memory”! Students take turns flipping over 2 cards and looking for rhyming pairs that way! 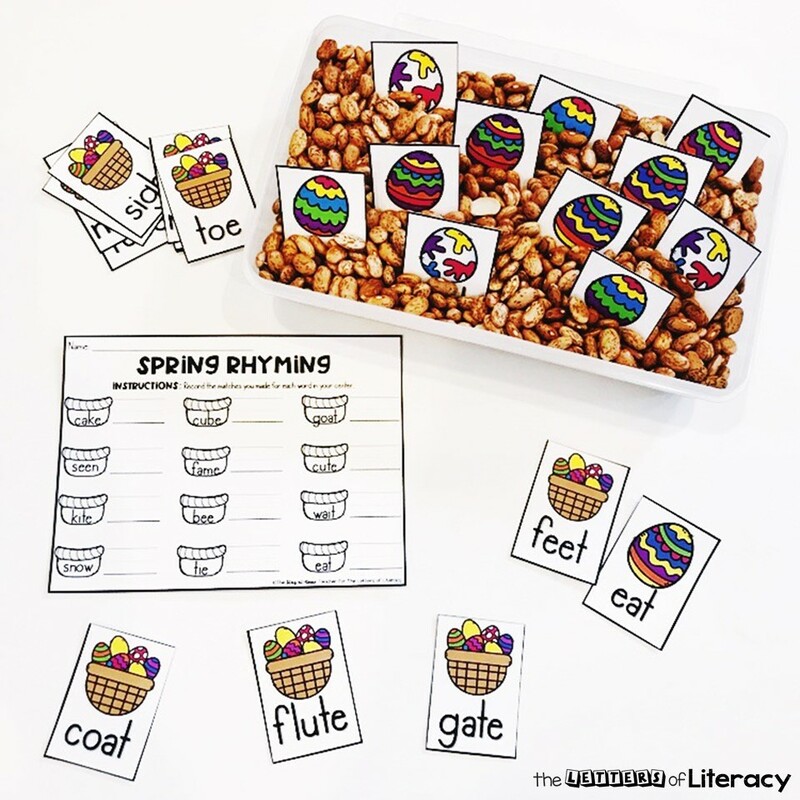 No matter how you choose to use this resource, your kiddos are sure to have fun practicing long vowel patterns and rhyming words! 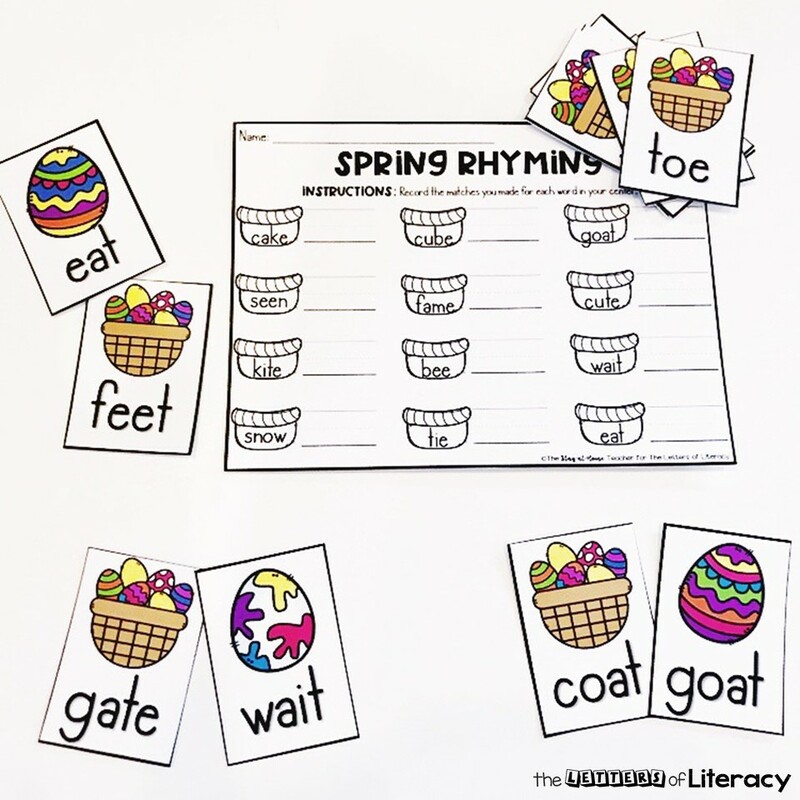 Are you ready to start practicing rhyme with your students in a fun way this Easter? Then, grab our FREE printable below by clicking the large, blue DOWNLOAD HERE button below! 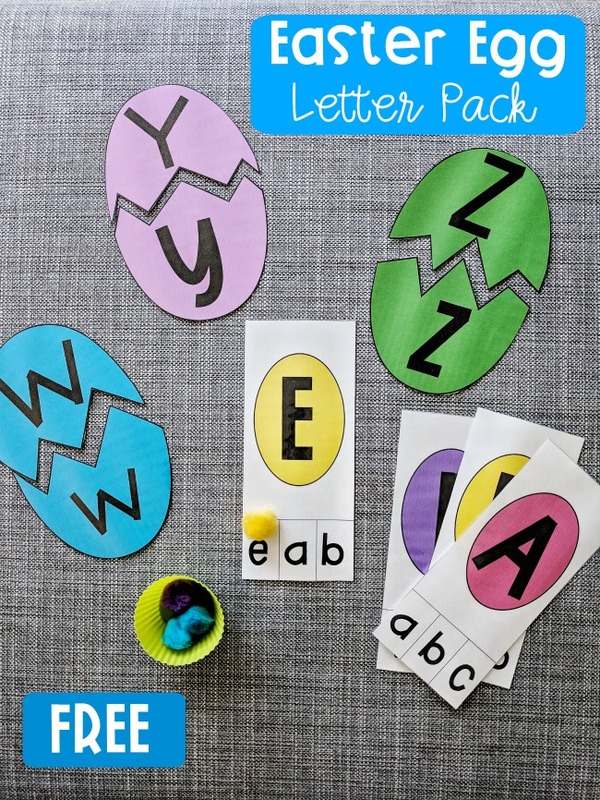 Then, hop on over to see our FREE Easter Egg Letter Activity Pack!